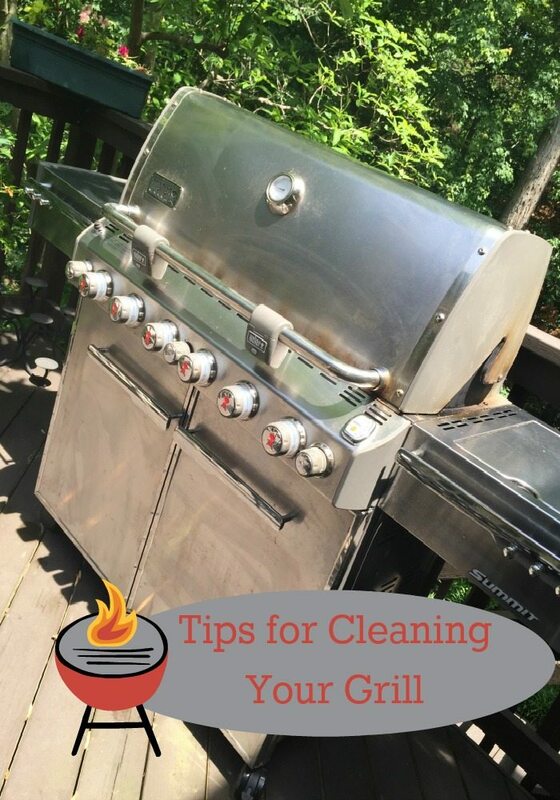 This post about outdoor grill cleaning tips is brought to you from Mean Green Cleaning products. All my opinions are 100% my own. Even though Labor Day is over and he kids are back to school you will find plenty of reasons to grill outside. Or maybe the weather has turned quickly and you are ready to pack up the outdoor grill until next spring. 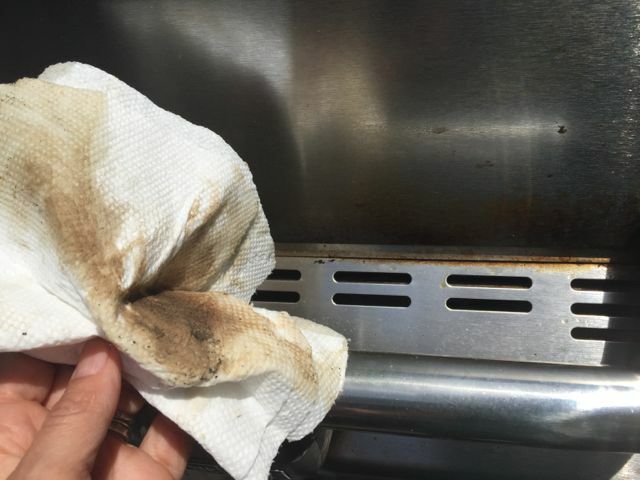 Either way we have some outdoor grill cleaning tips to have you prepared for fall. 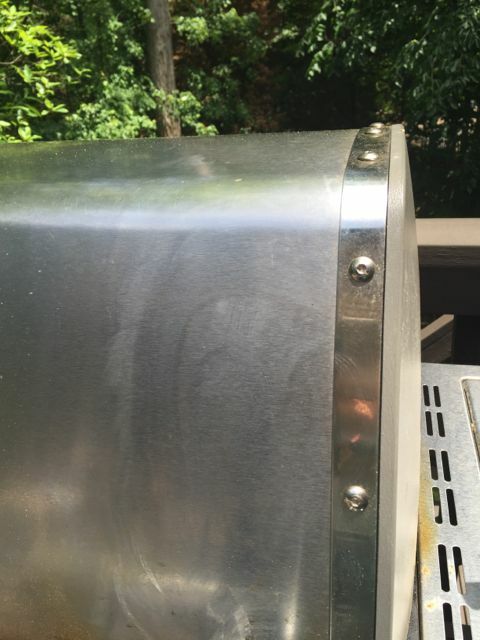 Thanks to the Super Strength Mean Green Cleaner and Degreaser you can get all the tough grease and grime the outdoor grill has accumulated over time. 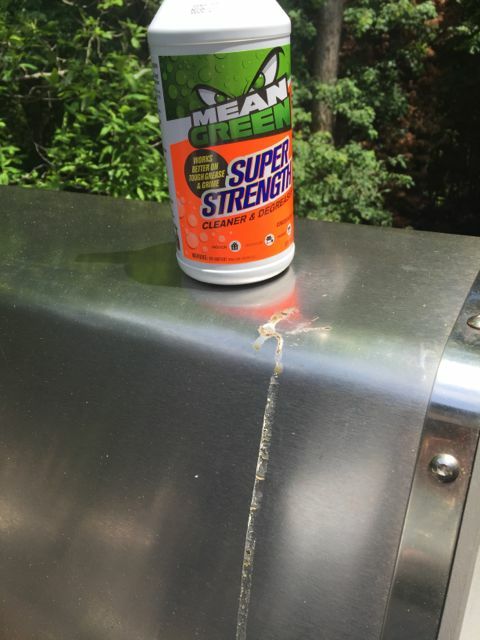 Whether you are staring at bird poop or grease from those juicy burgers you grilled all summer, Mean Green can eliminate a greasy dinner mess with ease. Spray Super Strength directly on the food or grease splatter. Allow the product to penetrate the mess for up to 2 minutes. Wipe clean with a sponge or cloth. Then rinse thoroughly with clean water. 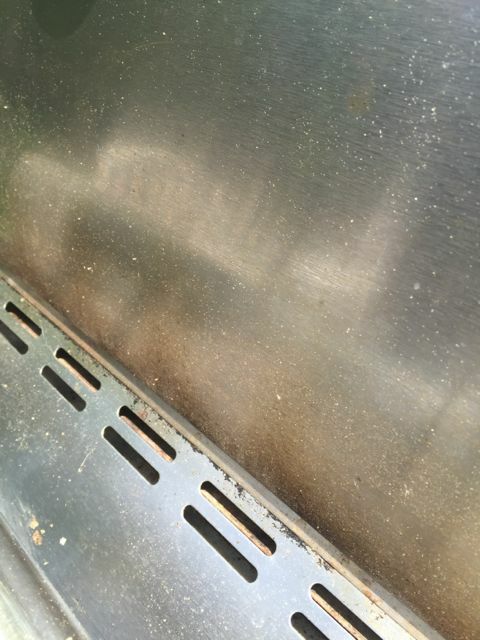 We used it on the exterior of our outdoor grill for stains that have been there a while. Here is how nicely it cleans the exterior of your grill. We had grease built up for years and look how dirty the cloth is after using Mean Green. 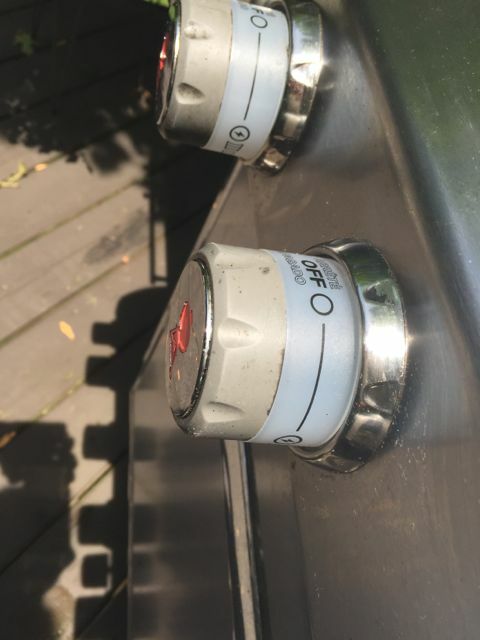 Who ever things of cleaning the grill knobs? Not me. I sprayed the knobs that had black spots accumulated on them. After a few minutes they wiped clean. I think my husband was impressed with the results of my cleaning job. This BBQ is his baby and is very particular about others touching it. Although if we want to eat some days, I am the only cook available out there! What fall cleaning projects do you have planned? This product will definitely help clean up that grill grease that plain water cannot. We’ve been using our grill so much since we moved and it could stand a good cleaning. This is a good product to make the job seem less like the chore I think it to be. My grill needs this! Ours we just sprayed down with our hose hahaha! Probably not the best idea but it helped. I want to try this! We really need to give our BBQ a good scrub too and get it bolted to our deck. The winds here can get a little wicked and we don’t have to have to deal with it blowing off of our deck again. What a mess that was!! It looks like this worked great for your grill. I’ll remember this for when we get a grill. This is a big one for us! Fall cleaning projects are usually a mix of things we’re almost done using for the season, and things we’re almost starting to use – like our pellet stove! 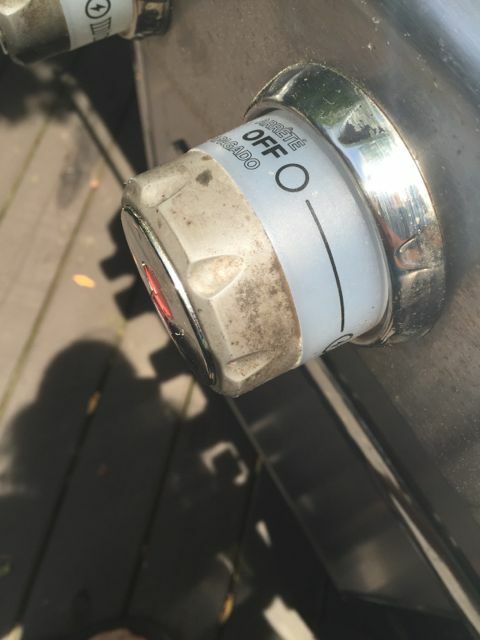 This did an amazing job cleaning the grill! Thanks for letting me know about this!